Consumers want to help tackle climate change. Choosing clean energy for your home electricity is something you can do to make the world a better place. CleanChoice Energy offers community solar so customers can support clean energy where they live, and potentially save on energy bills. Consumers want to help tackle climate change. People want to do something to help their families, their communities, and future generations live in a sustainable world with clean air. How can individuals help make the world a better place? When consumers use their wallets to buy products and services from the companies that align with their values, it can create positive change. When it comes to your home electricity, many consumers now have a way to support clean energy over fossil fuels. With CleanChoice Energy Community Solar, we offer consumers a way to support the production of 100% clean solar power and reduce pollution—without installing rooftop solar panels. Community solar can also help people save on their energy bills. What is Community Solar and How Common Is It? With community solar, a group of households support a centralized solar farm near where they live, instead of individually paying to place expensive panels on their own roofs. Each subscriber receives credits on their utility bill for the energy that’s produced on the solar farm. Community solar can be a desirable option for renters and homeowners who can’t get, or don’t want, rooftop solar. Besides helping create clean air, it also supports the development of clean energy jobs in the regions where the farms are located, like solar technician. Many states are currently considering legislation to allow for community solar, including Illinois, New Jersey, New Mexico, Nevada, and Pennsylvania. Where Does CleanChoice Energy Offer Community Solar? CleanChoice Energy has community farms in New York, Massachusetts, Minnesota, and Washington, DC. 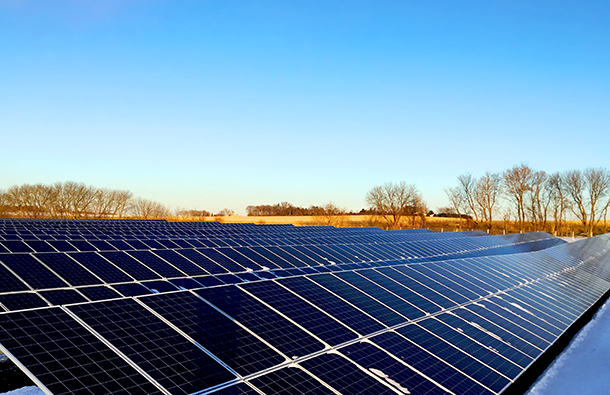 We have more community solar projects under development, and are evaluating additional suitable locations based on state rules, available sunlight, and other conditions. What Do Customers of CleanChoice Energy Community Solar Say? The strength of community solar is it has a lot of benefits. That’s why we’re planning on offering more CleanChoice community solar in other states, too. CleanChoice Energy provides 100% pollution-free renewable energy sourced from wind and solar to homes and businesses. Learn more about our community solar offerings today, and find a CleanChoice Energy Community Solar farm near you!